Next to the choir and orchestra, Krashna knows a third department: the chamber music department. This department is unique for student music associations in the Netherlands. Chamber music members get the opportunity to form ensembles to perform their own chosen music on the chamber music concerts. The ensembles are diverse with respect to their level, repertoire and setting. Soloist are also allowed to perform. There are about six chamber music concerts each year and they are open to all public. 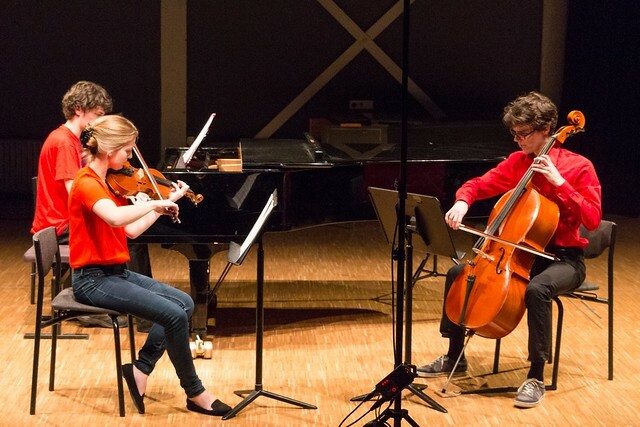 Furthermore, Krashna organises lunch concerts in some of the faculties of the TU Delft each year, where employees and students of that faculty are also invited to perform. Finally, there is a masterclass each year where Krashna ensembles are coached by professional chamber musicians. These masterclasses are also open to public. Want to join our chamber music department?